KIM CHIU plays her most mature role to date in Regal Entertainment’s coming Metro filmfest entry, “One Great Love”. 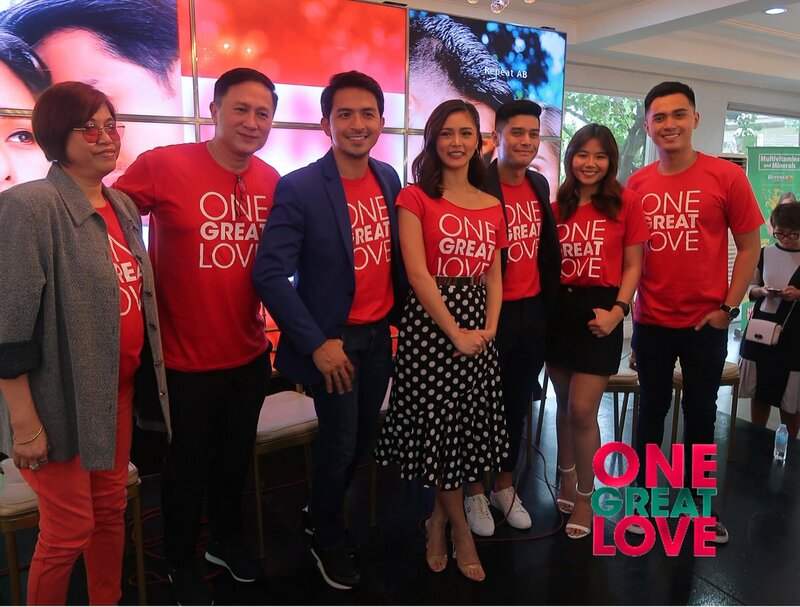 She plays Zyra Paez, a nutritionist who gets torn between two men in her life, Dennis Trillo as Ian, a doctor who’s her male best friend, and JC de Vera as Carl, a pilot who has some very personal issues that make him unintentionally hurt Kim. Director Eric Quizon says Kim is their originally choice for the female lead and they’re glad ABS-CBN lent them to Regal. He adds that Kim is very good in her role and she has a good chance of winning the Metro Filmfest best actress award. But for the roles of her two leading men, they made a list of possible actors and ultimately chose Dennis and JC. Kim has two daring love scenes with JC, one in a bathtub and one in their bedroom. She has one love scene with Dennis in front of a fireplace. And it’s all done with her prior approval. She was asked who she’s referring to, but she won’t answer. But it’s so easy to guess since the only boyfriend she had before was Gerald Anderson, her first ka-love team and, as of now, she has admitted she’s on with Xian Lim. Her last line in the interview, though, is very cryptic: “Balang araw, mahahanap ko rin siguro ang ‘One Great Love’ ko.” It does say a lot, doesn’t it?